You know ionic is a cross-platform framework and PWA (Progressive web apps) are also not something you don’t know till date. Both of them are quite a popular concept. But, if you are not aware of any of it, let me give you the basic understanding of both of them. Progressive web apps are the modern time web apps which deliver the experience which is similar to mobile apps. This will make the user feel like they are using mobile apps when they are actually using web apps. Here, you are open with two options, the one is to release your app as PWA and also as a native app because both relinquish almost similar experiences. PWA are paving their way as the future of mobile app industry, standing right beside the native apps. 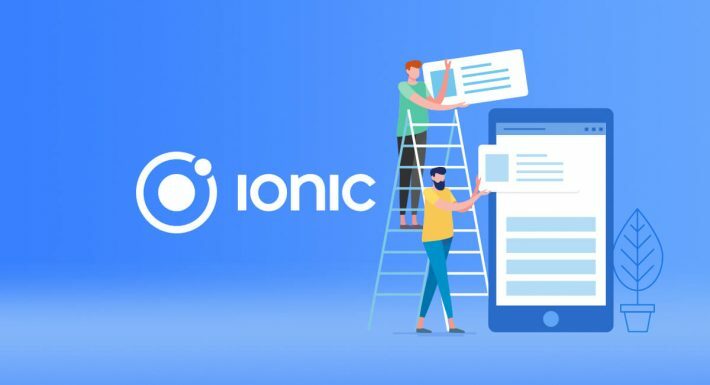 What is Ionic App Development? It is an open source software development kit for the cross-platform apps. It provides the services and tools for hybrid apps by making use of web technology like Sass, HTML5, and CSS. It consists of a plethora of features like fingerprint authorization, Bluetooth, health kit conjoining with things like typescript extensions and Cordova plugins. The ionic app developers are at the utmost ease when it comes to developing apps with advanced features. Let me introduce you with some of the top features of ionic app development. Repeat feature collection is by far the most favorite thing about ionic as the huge list can be scrolled smoothly without affecting the performance. The scrollable container helps the user to get the feeling that they are dealing with the exactly native system. Ionic is equipped with powerful CLI which helps the developer to develop and test the app on any and every platform. Another best thing is that ionic has got all the functionality which are found in native app SDK. Developers can build their apps and mould them for any OS whether it is Android or iOS or Windows. Well, they are also at the ease of deploying these apps through Cordova. Let’s take an example of the one of top apps Tinder. With PWA it decreases its loading time from 11.91 seconds to 4.69 seconds. Another commendable change is that the size of the new PWA is 90% smaller than the older Android app. Another app ruler Facebook observed a commendable rise in the rate of engagement after launching its new PWA. Well, the increase in downloads is also quite impressive. Let’s talk about the taxi tusker Uber. Uber witnessed the speed in the use even in the 2G network. It hardly takes 3 to 5 seconds to load on the 2G network. Coming to Pinterest, with the new PWA it has an increase of 40% in the time spent on the site, 44% hype in the ad based user revenue generation, and 60% increase in the core engagements. Let’s get to movie business bookmyshow. Well, well, well, the PWA is 180 times smaller than the native iOS app and 54 times smaller than the native Android app. The loading time is just 3 seconds and the conversion rates are hyped up to 80%. Apart from these app industry giants, Forbes, Starbucks, Twitter, and Lyft are some of the significant brands who have shifted to the ionic and experienced a significant increase in the user engagement as well. The features, the benefits, and the reasons for both ionic and PWA are displayed above. Now, you are smart enough to decide whether PWA and ionic are something you want to opt for or not.